This post is to share some information and the solution to the problems I was having with MakeMKV and Blu-rays with LPCM audio. When remuxing Blu-rays containing LPCM audio with MakeMKV, I would not be able to playback the LPCM audio track using anything, including VLC on PC, Popcorn Hour c200, Boxee Box, etc. MakeMKV sets the Codec ID to "A_MS/ACM" which is a very uncommon codec. To solve this problem, open MKVmerge GUI, and go to File -> Header Editor. Then go to File -> Open and browse to your MKV. 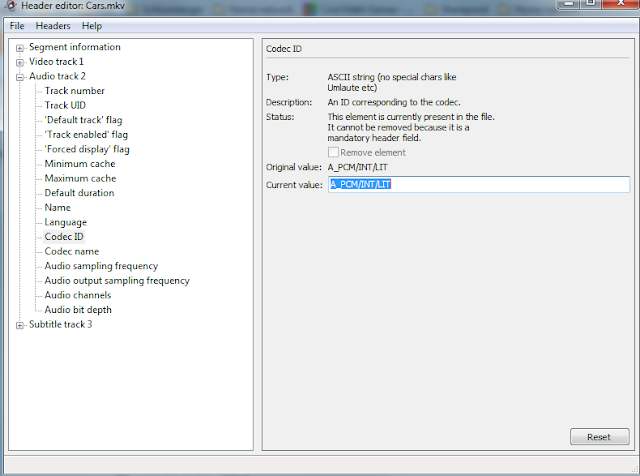 Scroll down to the audio track that contains the LPCM audio and change the Codec ID from "A_MS/ACM" to "A_PCM/INT/LIT". 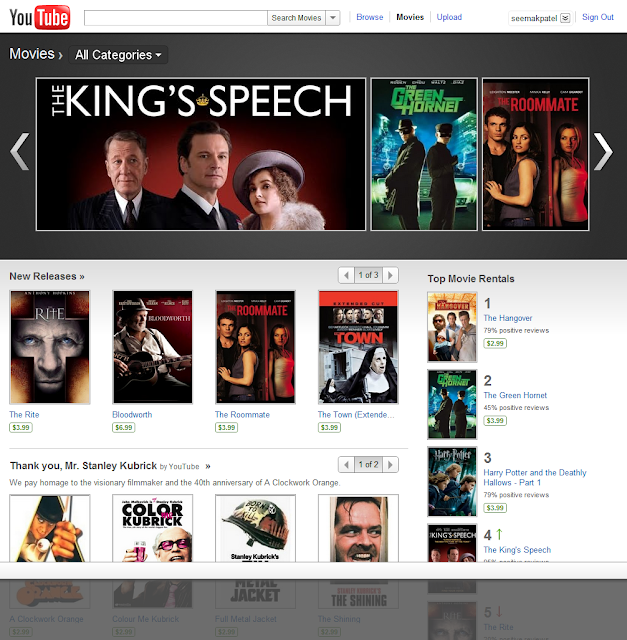 Youtube now has free and rental movies. Goto http://www.youtube.com/movies . This watchindia.tv service & their box is a scam. Stay away from this crap at all costs and customer support at its absolute worst. Poor quality and buggy software on the box, that crashes all the time. Horrible buffering issues even on a 20Mbps comcast internet account. Their servers simply can not handle the load. Box required constant reboots and authentication to get it to work. Crappy remote that barely worked. Only a few buttons on the remote were useful. Horrendous customer support, that never picks up your calls or responds to emails. When the box went bad(no audio) they refused to replace it even though it was under warranty. Lost money and time trying to reach them. So the watchindia service is a FAIL... FAIL... FAIL.... pissed me off big time. I hope this prevents other people from paying for this crap. Its been almost 2 years since my last htpc build, and I've got upgradeditis (a.k.a strong itch to upgrade a perfectly good htpc). My wife and 4 year old are very much used to the media center and I've not paid a cable/ satellite bill in almost 2 years (very happy, saved thousands!!!). While using an htpc keyboard/ mouse use should be minimal. 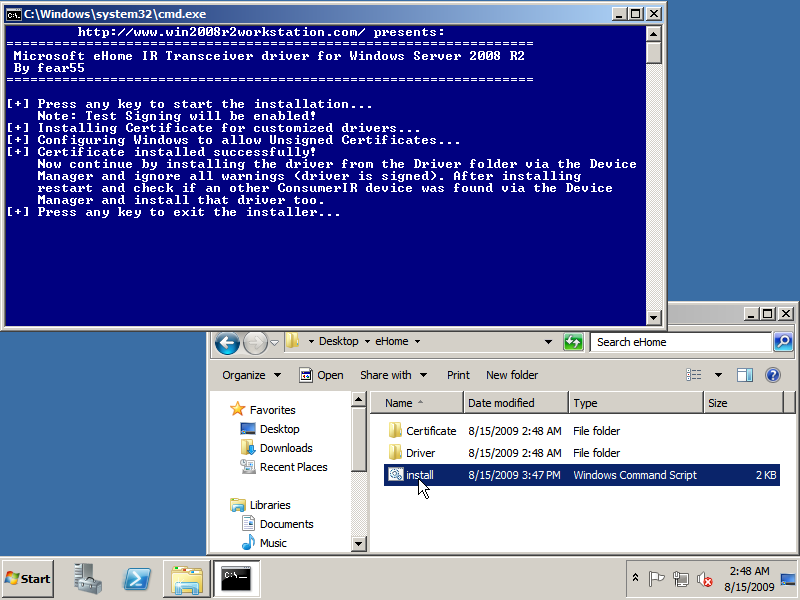 So if the htpc reboots it would be useful to have windows 7 login automatically. Follow these steps to allow autologin in windows 7. If your bluray rips/ HD files stutter when played from the WHS, but not from a local drive, then use these as a checklist. High quality 480p video is smoother compared to the browser based flash. My media center build is now complete. I'm trying to make this my main family entertainment center and that means wife acceptance is critical. Performance better than expected - I was pleasantly surprised to see no performance issues during playback of OTA HD video and HDDVDs. Power Supply mounted upside down. The included 250W power supply has a fan on top, but the case doesn't have a vent on the top. Mounting the power supply upside down improved the airflow. The cpu cores are now at a constant 53 degrees C and the GPU at 57 degrees C, even under load. Wake on USB solution - The zotac 9300 motherboard doesn't have a wake on USB feature. This means the pc cant be woken up with a USB device like an InfraRed receiver (zotac you bastards!!). After some research on http://www.avsforum.com/ , I stumbled upon this device - The Antec Veris Multimedia Station Basic, IR Receiver. This IR receiver connects to the motherboard's power connector so it can be woken up using a remote. HDMI audio issue - I've run into issues with the nvidia HD audio driver crashing and looping ocassionally in windows 7 64bit. I'm temporarily using an optical cable instead, with the realtek audio chip, until better drivers are released. This means no LPCM audio for now. Keyboard with trackball is required if you want to control the mouse cursor from a couch. The logitech harmony 890 remote works like a charm. It has been programmed to work like a MS media center remote.